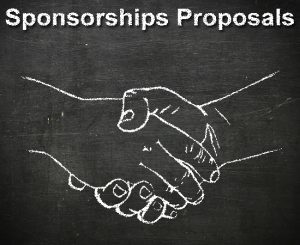 DLM Marketing can help you prepare a sponsorship proposal which is an official offer to do business. Sponsorship proposals needs to be well presented and should contain enough relevant information so a company can gain a thorough understanding of what you are offering this will help you clarify what types of organisations to target. Once you understand what it is you have to offer it’s time to research your potential sponsors. Lots of people can say no and only a very few can say yes. It’s in your best interests to go straight to the source and not waste your time with people who don’t have the authority to approve your sponsorship proposal. Too often sponsorship seekers prepare a proposal without ever working directly with the sponsor to determine their objectives. How can you possibly know what they want or need without ever asking? If a sponsorship is to be effective you will need to have the backing of your members, staff and board. Writing sponsorship proposals and contacting multiple companies is very time consuming so make sure you have the time and people willing to help. Depending on what you are asking for, the assessment, negotiation and planning involved to successfully manage a sponsorship takes a substantial amount of time. DLM Marketing can tailor your proposal by acquiring background information on the potential sponsor’s desired image, products, services and business objectives. Before signing, a potential sponsor will independently put a value on your proposal. If your offer is cost effective or unique – you are in the running. Address it to the right person. If you are unsure, phone the company and ask them who looks after sponsorship deals. Confirm the address details while you’re on the phone. DLM Marketing can help you develop and put together a winning sponsorship proposal that will deliver value to both yourself and your sponsor.